Pot potency is an issue that arises often in the debate around cannabis legalization. Often, it is used by opponents to illustrate the dangers of marijuana. Yes there are potent marijuana strains today, but that’s not the whole story. Stories about high-potency strains have bolstered this argument. Many have likely heard tales about strains such as Bruce Banner #3, named after the comic book character who turns into the Hulk. Based on federal government research, the THC concentration in Bruce Banner #3 is five times higher than what is considered the norm, according to The Atlantic. However, while no one argues that powerful strains exist, the issue of pot potency is much more complex, particularly when comparing potency levels today against those from past decades. While certain strains might be more powerful, there are issues with comparing pot potency from what was passed around at Woodstock in the 1960s and what is available today. For decades, federal government testing has involved what is called gas chromatography. In this method, cannabis is heated up before testing, which can break down the THC molecule and result in tests results that may show less potency than what is present. Testing facilities today use liquid chromatography. Rather than heat the material to be tested, chemical solvents are used to extract the THC. Typically, this will provide a more accurate assessment of the THC and test results that show a higher potency. Another issue involving past marijuana tests has been the source of tested cannabis. For decades, research was done on whatever could be found. That typically meant marijuana seized by law enforcement. Given that, pot potency tests – done through gas chromatography – varied widely depending on the source. For example, many strains of illicit marijuana grown in the United States often were weaker than that produced in other countries. That resulted in widely varying test results. This same issue also continues to this day. For example, a 2016 study published by the National Institutes of Health found that potency increased between 1995 and 2014. So, both the issues with testing methods and the cannabis source apply in this study. It does not involve marijuana sold in the legal market. In states where marijuana is legal for medical or recreational use, the state governments have contracted with companies that do testing. Many, including in Massachusetts and Colorado, use the liquid chromatography method. That’s one of the benefits of the legalized market. Cannabis is delivered to consumers under strict guidelines for how it is grown, transported and sold. There is also the consumer choice issue. 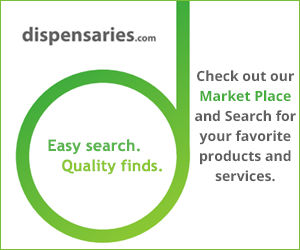 People entering a dispensary now have choices on what to buy, with clear information about not only the potency but the effect of each strain. In many ways, it’s like someone going to a craft beer bar, choosing a style of beer and knowing the alcohol content of each. 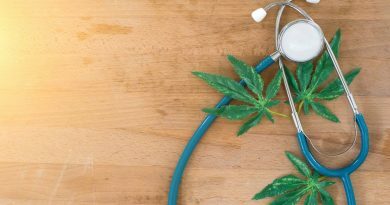 So, clearly, there are higher potency marijuana strains out there, although testing methods may have skewed the results when comparing one time period to another. However, in a regulated market, smart consumers can purchase marijuana that has a potency that fits their needs. ← Should You Save Your Marijuana Seeds?